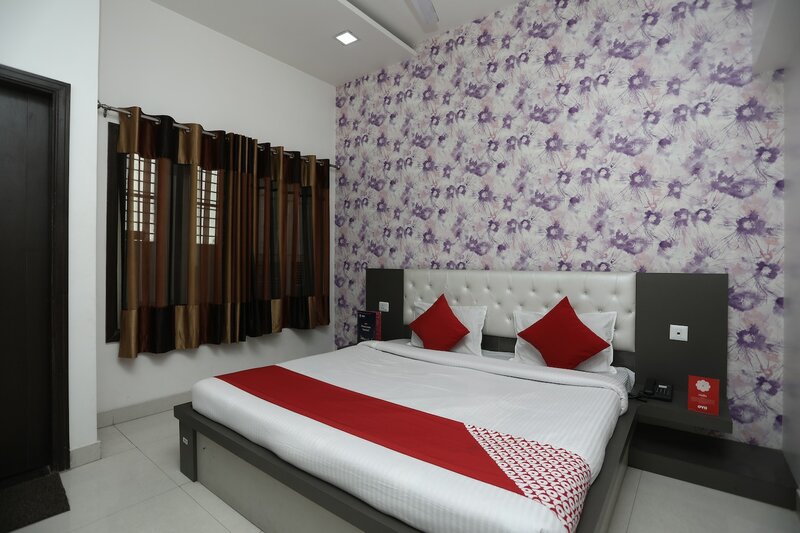 Hotel Mangalam Inn is a budget hotel situated at DD Puram Petrol Pump Road in Bareilly. The property is located at a fair distance from Bareilly Junction Station. The hotel has a roof-top dining area, an in-house restaurant, power backup, CCTV cameras, parking and laundry facility. The interiors of the hotel have been done up soft hues which compliments its wooden decor. The rooms are spacious, spotless and are highly maintained. All rooms include modern amenities like TV, AC, free Wi-Fi, seating area, geyser and a small wardrobe. The hotel is closely located to Trivatinath Mandir, Bareilly sports stadium, Shahnoori Masjid, Arya Samaj Mandir and Pashupati Nath Mandir.